Welcome once again my fellow arcadnaughts (yeah, yeah, it’s my term for arcade loving pioneers). Okay moving on, so back in the golden/silver age of arcades, March 1989 to be exact, Capcom introduced a new action fest named “Strider” (Google it youngsters). Set in the year 2048, Strider starred a young hero named Hiryu whom was tasked with the assassination of the dictator of his future dystopia. You, the player, had an 8 way joystick and two buttons. One, for slicing your plasma sword called a “Cypher” and one for jumping. Gameplay consisted of jumping, slashing, clinging to girders and sliding down ramps and causeways all while slicing everything insight like a crazy ADHD kid who’s lost his Ritalin. It was truly amazing and was quickly ported to home systems such as the Sega Genesis. Those were the days. Guess what? 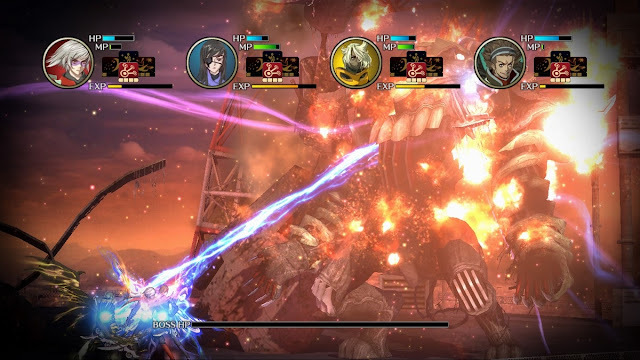 Those days are back and Square Enix has a beauty in store for you. 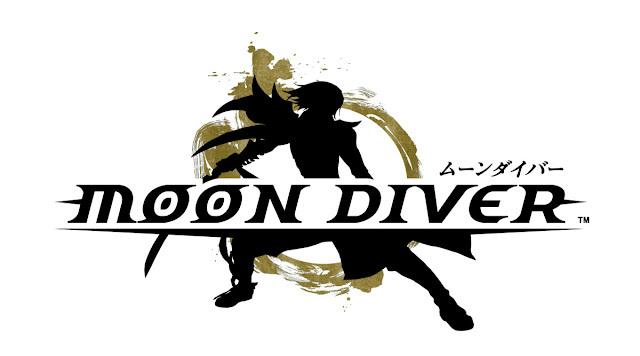 I give you Moon Diver for download on Xbox Live Marketplace and my god, I am so glad I am not taking Ritalin anymore. Moon Diver brought fond memories to my brain the second I started to play it. Here I was jumping around scrambling from platform to platform, dangling from ceilings and girders all the while slashing enemy hordes and mechanical what not. Had I been returned to 1989?? Nope, New Kids on the Block was defiantly not coming out of my Radio, but here we now have an incredible drop in drop out multiplayer experience much like Strider, in the sense that it can be played as a single player jaunt but soon it reveals that in order to truly spank this game right you will need a friend or two to join the cause. The reason? 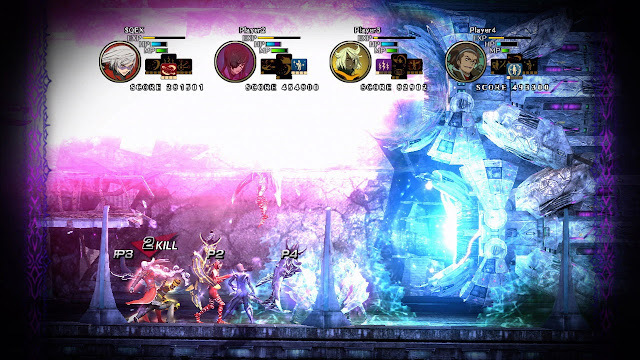 Individual player level-up abilities that are unique to each of the four playable characters. 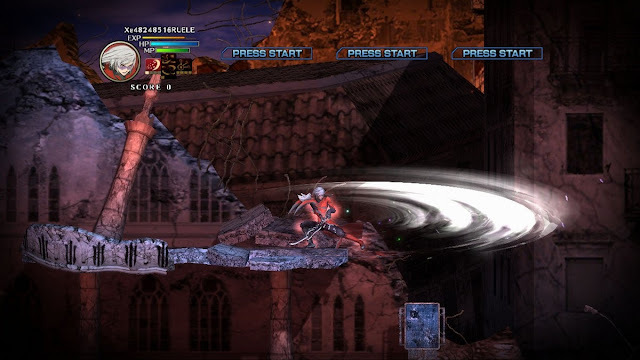 The later levels of Moon Diver will have you wishing that you could mutate at will an extra finger because things start getting so frantic that you will need the aid of your comrades and their best defensive and offensive spells that they have had better leveled up at this point. Playing online was a blast! Because if you are playing with a group and your player takes a dirt nap you re-spawn wrapped up in glowing chains and one of your teammates can set you free to rejoin the fight. 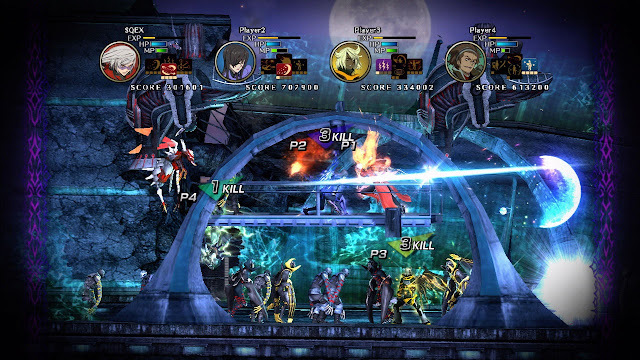 The Graphics are your typical Anime flair and seem to be a perfect fit for this type of downloadable. Squaresoft has been really surprising me as of late and I want the surprises to keep coming so please support the cause.Go to Xbox Live Marketplace download the demo then buy the full blown download. Z man has left the blog….. No really I left like an hour ago. 2K Games are a bunch of show offs! Where in the hell did Witcher 2 come from? Nintendo Press Conference Consists Of This!